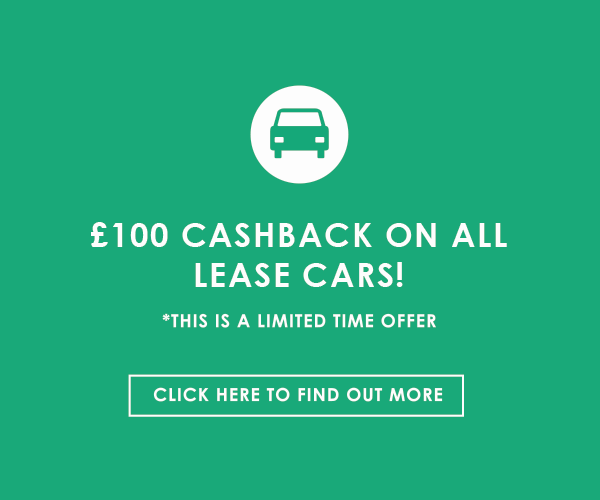 Cheap Car Leasing was founded with the aim of making the entire car leasing experience fast, simple and stress free. We specialize in bad credit car leasing and no deposit car leasing, so as the experts in our field, we can easily help you to secure a cheap car lease. We are part of a family-run motor group with over 60 years of motor retail experience; this allows us access to a wide range of cars. Our team will secure your lease and then prepare and deliver your car to you. We also aim to make sure that you deal with the same person, throughout the entire leasing process. This is because car leasing is a very personal experience, and we feel it’s important that we find the right car for you. So even if you have been declined elsewhere, we are happy to hear from you. We aim to respond to all enquirers within 24 hours. Send us an enquiry and we’ll be in contact soon. Tom has always been around cars from an early age selling cars on Autotrader from his parents’ house at the tender age of 14 with the money he got for valeting cars at the family dealership (Most of the cars he sold in those days were older than him!). As soon as Tom left school he wanted to go straight into the family car business and worked his way up through the different departments from valeting, service, sales and finally assistant sales manager for Preston’s BMW. The dealership was sold in 2007 and this is when Tom set up Hippo with his Dad Richard “it was a bit daunting moving from a huge franchised BMW dealer with 80 staff to all of a sudden sat in a rented office alone that was the same size as the cleaning cupboard at the old place!”. Initially the Sales and Admin was taken care of by a good friend of Tom’s, Kate, and shortly after he started recruiting more staff. Proudly Tom says “Today we own our own purpose built ?2m dealership, employ over 40 people and turn over close to ?20m and that is mainly down to the great staff, diverse product range we have and our excellent reputation” Out of work Tom is seen out rallying in his Mitsubishi Lancer on various tarmac and forest events throughout the UK. His best result saw him finish 3rd overall on the National Wales Rally GB in 2013. He also enjoys spending time with his family. Mark joined the team on the 13th of October 2014, having spent the past twelve years working in customer service based roles. He enjoys playing and watching football, and the majority of his spare time is taken by spending time with his partner, twin daughters and son. On the rare occasion he gets some time to himself he tries to catch up on sleep! Sleeping could well be classed as a hobby to him. Alistair previously worked as a Data Migration Specialist within the finance sector. He is also keen on spending time with his girlfriend and his little boy, Leo who is named after Alistair’s favourite man, Mr DiCaprio. He was an avid Blackburn Rovers fan when they were in the Premier League. One of Alistair’s main talents is his ability to play the guitar and can even strum a few notes with his feet. Alistair also enjoys reading the Harry Potter series, travelling across Lancashire at weekends, badminton and food. Sarah started with the Group in 2008 where she was taken on as one of the office administrators for HIPPO finance and over the years created a fantastic relationship with our dealers. Because of this and her hard work Sarah was put in charge of the office in 2010 up until her start as Account manager for HIPPO Leasing in June 2011. Molly was an addition to the Marketing team in 2015. Initially Molly was brought in to take care of the photography needs of the motor group but her skills in design and social media meant she has been an asset to the marketing department. Her social life is hectic and Monday to Wednesday Molly hosts an online Dungeons and Dragons club. On Fridays she presents a spirituality show on local radio before she heads off to prepare for her Guinness World Record attempt. In 2016 Molly will attempt two world records, one for the quickest Rubix cube completion blindfolded. The second is to be the worlds longest didgeridoo note.